reflecting that leads to positive change | The Better Plan . . 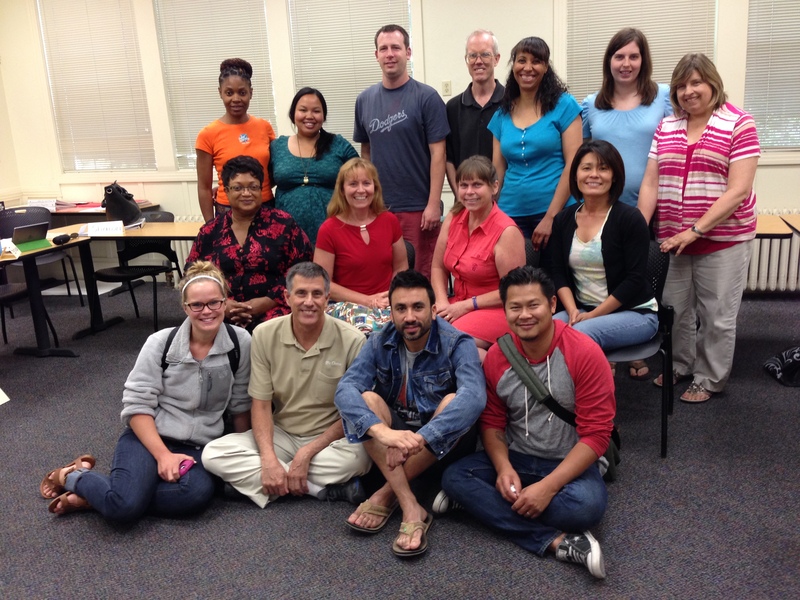 Soul Shapers 1 class, summer of 2014; a talented group of teachers who taught me a lot. I want to give a big thank you to the Soul Shapers 1 group from this past week! I said a few things, facilitated a few activities, and led a few discussions, but it was their openness, creativity, and insight that really made the week a fun and meaningful experience. For instance, the following chart presentation examples were all created by them. 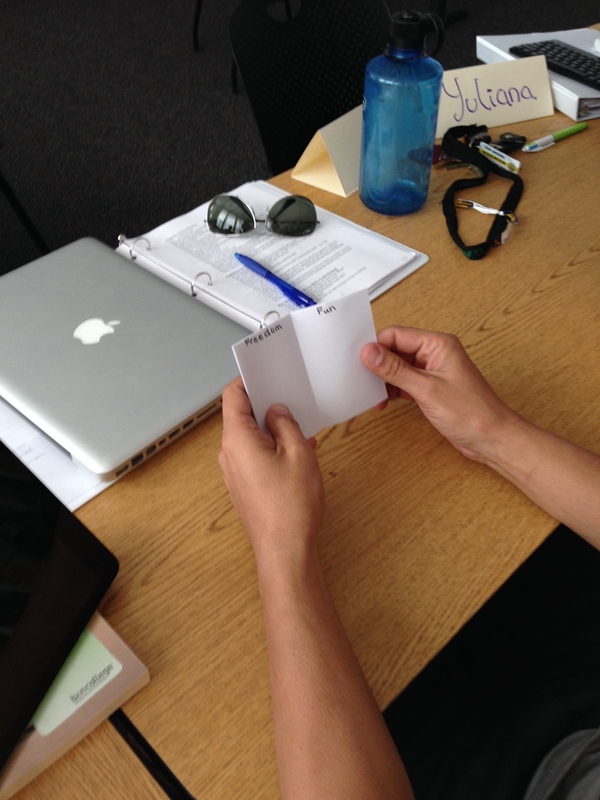 Chart presentations: A teacher-created small booklet could by used by students to identify their basic needs. 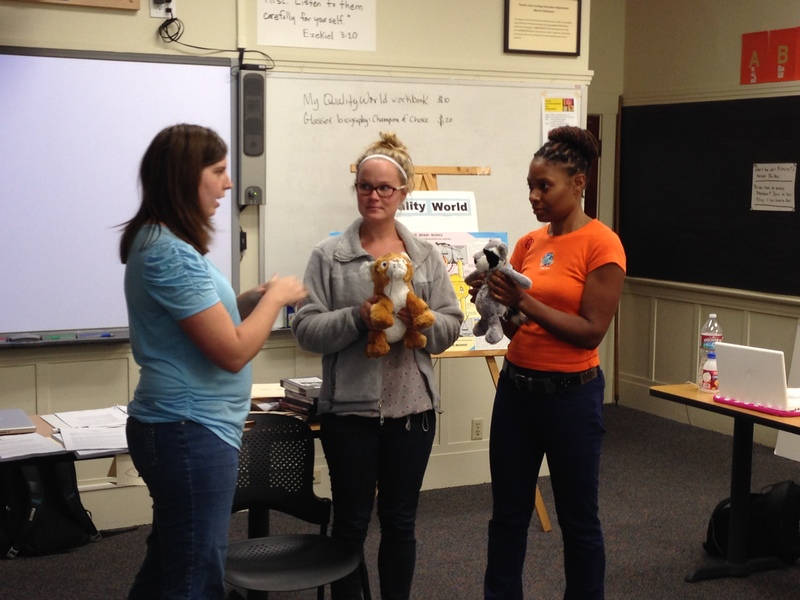 Chart presentations: Puppets can be used to help students process their behavioral center choices. 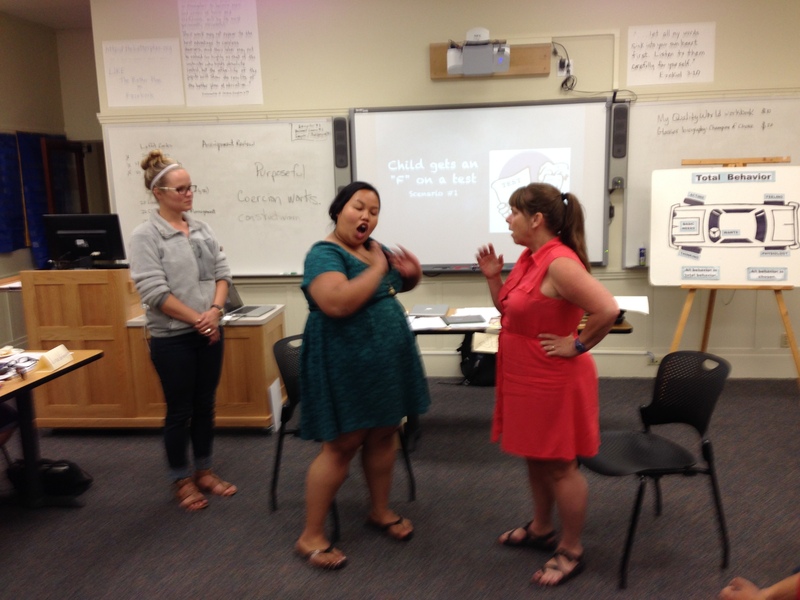 Chart presentations: A creative role play format leads to a better understanding of total behavior. Most of the classmembers headed out for home after class ended on Thursday afternoon, although not all of them. A few of them are sticking around for the weekend so that they can continue in Soul Shapers 2, which begins on Monday. One of the those heading home didn’t have far to go, as she works right here at PUC. Others from the class, though, had longer trips – five from locations around northern California, three from central California, two from southern California, and three from Salt Lake City. Choice theory does indeed invite us to reflect on our own thinking and our own behavior. Instead of our musings being aimless, though, or negative, choice theory helps us reflect in a positive way that leads to effective change. I look forward to checking in with the latest classmembers about their reflections as they traveled home. 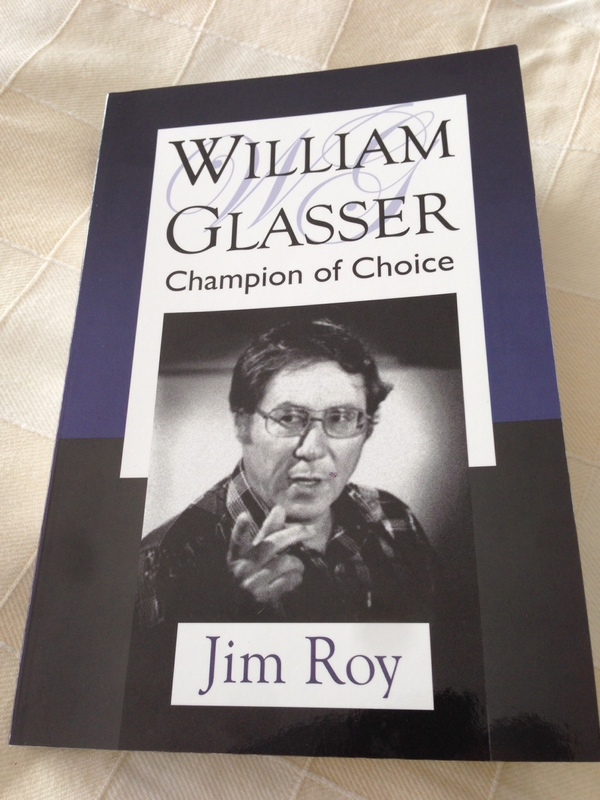 If you have read William Glasser: Champion of Choice, I encourage you to write a review of the book on Amazon. Together we can get the word out there that Glasser’s story and the ideas he championed are worth paying attention to. It’s not hard to contribute a Review of the book on Amazon and it doesn’t have to be long. Think about it. If you haven’t read Champion of Choice yet, then put it on your reading list for this summer. Besides a good story, you will learn a lot about choice theory and how to live your life.